I remember writing letters to my grandparents on blue envelopes that doubled as writing paper. I wrote to them at great length about the things that I did and the books I was reading. I wrote poems a great deal as well. When did you decide to become a professional writer? Why did you take this step? After my sons were born. It’s been seven years since I made that decision. I had always chosen to do jobs that had a lot to do with language like editing, and literature, like teaching. But it was not enough. I needed to write more. So I wrote for magazines and blogs. I worked on writing fiction and poetry that I would like. I searched a long time for my voice. When I was presented with an opportunity to write a novella last year, it happened easily. 2) What would you consider to be your greatest strength as a writer? What about your greatest weakness? How do you overcome this weakness? 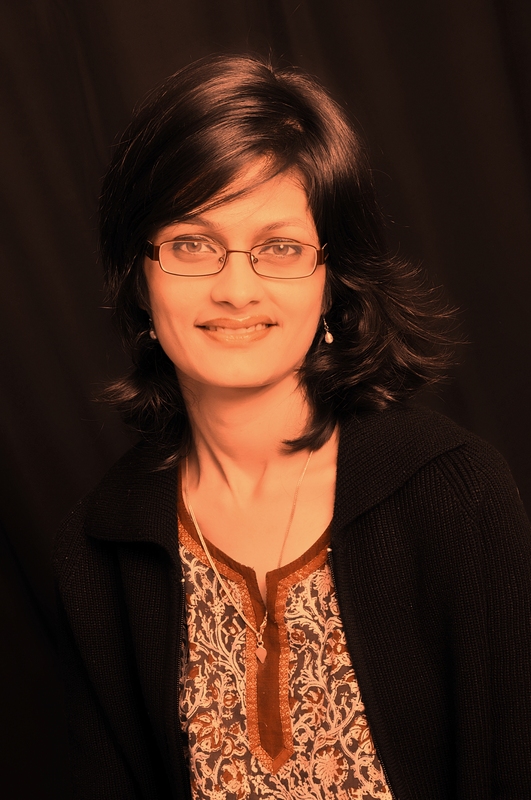 My strength has to be my love for poetry- that gives me a sense of rhythm when I write. The amazing part of the digital age is the immense access you have to poetry. Although poetry books are not flying off the shelves, there are archives and archives of good poems and readings. This ability to read almost any poem out there has opened my world. My weakness is that I keep editing what I write. That slows my pace. What I try to do now is write continuously without being overburdened by the possibility of change. Yet I keep faltering…. 3) Tell us about the place where you live. Have you ever derived any inspiration from your home or from anywhere you have visited? 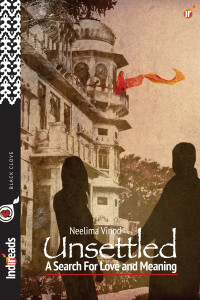 Well my ebook ‘Unsettled’ is straight out of the place where my ancestors lived. The same hundred roomed house, no ghosts though! I’m romantically attached to Kerala in southern India, especially my mother’s ancestral homeland. I visit Kerala often and the images of the sunny green palm studded landscape seem to have seeped into my heart and mind. 4 ) Which book, if any, would you consider to be your greatest influence and inspiration? Wuthering Heights is a book that I love- it’s the first book about haunted love that held my undivided attention. The Victorian writers set the stage for the paranormal excesses that we see today. 5) What drove you to write about Vampires? The story ‘Unsettled’ has a vampire seductress- what is called a yakshi in subcontinental literature. I grew up listening to stories about yakshis- my mother and grandmother are good story tellers. As they spoke about their lives, I lived those lives too and the idea of a yakshi appealed to me a great deal. A yakshi is normally pictured as insensitive in stories and movies, though she is also worshipped in some parts. The female stereotype irked me a great deal- the idea seemed absurd that a beautiful woman would hang on a tree and devour innocent men who could not help being tempted by their delicious floral scent. The yakshi will make a night of it and then devour the innocent man and leave his nails and hair like trophies for all to see. Why is she so angry? I often wondered. So I decided that my yakshi would be less woman, though she is terribly attractive, and more human. 6) What do you think is the attraction for Vampire fiction? Why is it such a popular topic? There are so many people in one person- a part of each of us is fascinated by negativity as it is as much a part of life as all things bright and beautiful. People read vampire fiction for thrills- it makes you feel terribly alive when you read it. 7) In a fight between all the greatest Vampires of fiction, who do you think would come out on top? You can’t beat Count Dracula….he’s a precursor of all the fanged blood suckers that come after. 8) What about in some other contest such as sexiness or dress sense? Who would win that one? I’m hoping Thathri, my yakshi would win that one Her kohl drenched eyes and lustrous hair give her a slight advantage. 9) How well do you think one of your characters would fare against the winner(s) of the above? Well the Count may just get smitten by the yakshi…she’s far too seductive to ignore. 10) Tell us the basic premise behind your latest novel. The story is about a search for love. When a couple who fall out of love go in search of the scrolls of love, they come face to face with a paranormal reality. A yakshi guards the scrolls at the hundred roomed house- she has been haunting the Big House for centuries. Although the book is about an outward search, it is a psychological drama of a seductress who is angry at the deck of cards called life she’s been given. The story goes back and forth in time- there is the present disillusioned Indian couple and there is a story that happened five centuries ago. We all search for love but suppose our search is the very basis of the existence of someone else’s memory? What then? That’s what I wanted to talk about. Fascinating interview.Would like to read works in original. Thank you Jaydeep. Hope you manage to read ‘Unsettled’….